In the past couple of posts, we’ve been focusing on back care and relieving back pain. In our previous post, we shared some yoga poses with you that are ideal for strengthening your back muscles, but this is only half of the battle. While strengthening your back muscles can help relieve your back pain, letting the other muscles in your core take on some of the work will also relieve pressure and pain in the back. You see, your back muscles may be working too hard, picking up the slack of weak obliques and abdominals. By strengthening these core muscles, you can provide your back muscles with relief. Consult your local Divine Spine practitioner, and try the following yoga poses to strengthen your abdominals and other front and side core muscles. The side plank pose strengthens the abdominals as they work to keep the body stable. The obliques are also activated to keep the torso straight and stable. You may encounter core muscles you didn’t know you had while in side plank pose. 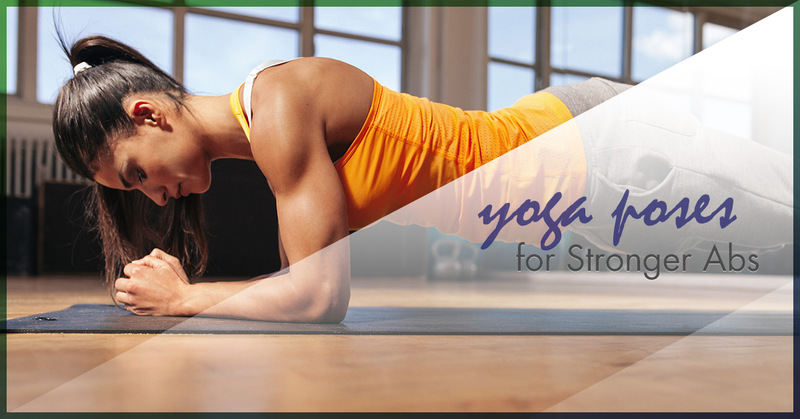 To perform this yoga pose, begin in plank pose, as if you were going to do a push-up. Your arms should be straight, your palms flat on the floor. Slowly raise your arm toward the ceiling, shifting your weight over onto the side of your foot, the other foot resting on top of it. Keep your arms straight, open your chest, look up, and hold for 30 seconds. You can repeat this pose for each side as much as is comfortable. The dolphin plank pose, or elbow plank, is a very simple pose but is enormously effective for working out your abs. This pose doesn’t just work out your core; it will also help strengthen your arms, legs, chest, lower back, and the muscles around your spine. To perform the dolphin plank, begin in plank pose, also called push-up pose. On an exhalation, slowly lower onto your forearms so your lower arms are flat on the ground with your shoulders directly over your elbows. Your body should be as parallel with the floor as possible. Hold this pose for five breaths. Boat pose is a very popular yoga pose for strengthening the abdominal muscles. Your core is challenged in this pose to keep the body balanced and stable. This pose also works the muscles in the lower back. To perform boat pose, begin in a seated position with your legs in front of you, knees bent and feet flat on the mat. Extend your arms with your palms facing upward so that your fingers barely touch your knees. Lean your body back, lift your feet, and straighten out your legs to form a V shape with your body. Hold this for ten seconds and repeat as is comfortable. Learn if your body could benefit from yoga here at Divine Spine. Our practitioners can help you defeat your back pain by determining the best treatment plan for your back. Find the Divine Spine location nearest you, and schedule an appointment today.